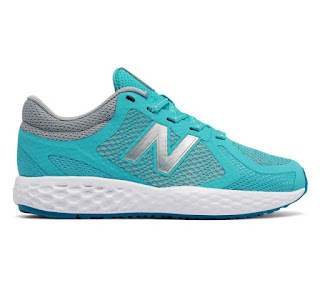 Head over to get a pair of these Girl's New Balance Grade School Shoes $19.99 (Retail $43.99). She'll chase style and speed simultaneously in the 720v4 girl's sneaker. Lightweight in design, it features a mostly mesh upper with a minimalist overlay that helps her move and breathe with ease. Meanwhile, bold colors and a printed liner give cool style to the athletic silhouette she'll feel extra confident going fast in. While you want to keep your daughter close, this lightweight kids' running sneaker will help her feel free with a mesh upper and no-sew overlay that won't weigh her down.